Special Episode – Does Your Small Business Have Some Systems Worthy Of Death Row? Let’s make sure this gate is secure. 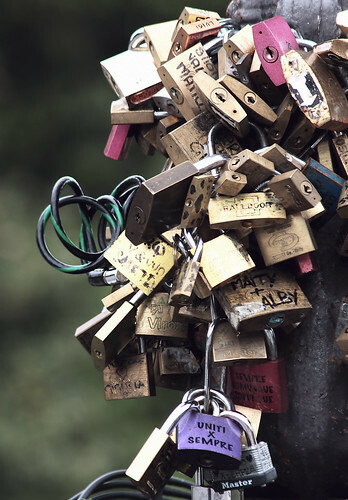 It sparks the idea that what we need isn’t a better lock, but we need more locks. We implement the system to keep the gate from being opened by strangers and presto! We’ve got ourselves a system. The system doesn’t work particularly well, but we’ve got one. This system accomplishes the desired goal. It prevents people from getting in. Of course, the collateral damage of the system is that it requires those of us who need to enter the gate to carry 57 different keys. Oh, and we’ve got to match those keys to their specific lock. A daunting task. Sometimes we’ve got systems that look every bit as ridiculous. They’re just not this obvious perhaps, but if we’d look more closely at them we might see they look just as stupid as using more locks for security. You know what’s going to happen with this system, don’t you? We’re going to hop over the fence and ignore the system all together. All the effort, all the cost, all the time spent implementing and what do we get? Nothing. Many small businesses launch a system to solve a problem. Time passes and the problem is no longer a problem. Not because the system worked so well to remove it, but because it’s just no longer an issue. The system remains though. Nobody knows why, but they work it. Every day. Other businesses have systems that help them, but destroy the good will of prospects and customers. The system was crafted to make things easier on us and our business – not the customer. That’s bad system architecture. Don’t implement a system that helps you, but hinders or harms the prospects and customers. • What is the purpose of this system? What’s it supposed to accomplish? • Does it accomplish that purpose in a way that helps or benefits the prospects and customers? • Do the prospects and customers readily see the value of the system, or do they have to convinced it’s good for them? • Is this system self-serving, but potentially frustrating for the prospects and customers? • Is this system still serving the purpose for which it was first designed? • Do we even need this system (any more)? • Can we accomplish our desired outcome more effectively (more pleasing to the prospects and customers)? • Is the system costing us the good will of the people we’re trying to serve? Put all your systems on trial for their life. Embrace the death penalty for systems that no longer work, or ones that don’t work well. Today’s special episode show is an unnumbered episode because I’m releasing it on a Tuesday, not the traditional new release day, Thursday.